This recipe has been adapted from the BBC Good food website & then made by me! My sister who is an amazing baker helped me out with this blog post and I can safely say they taste really good, and are a firm favourite in our household. These would make a great and inexpensive gift for Christmas if you used either stars, baubles or Christmas tree shapes. 100g strawberry, apricot, cherry or raspberry jam, anything you fancy! You'll need around half a jar. Put the butter, sugar, flour and almonds into a bowl and use an electric whisk until the mixture nearly comes together and forms a ball. Wrap in cling film and leave in the fridge for at least 1 hour. Remove the dough from the fridge and knead until it is soft enough to shape and roll. Divide into two even-size balls. Sprinkle a little plain flour over your work surface and roll out one ball of pastry. The dough should be approximately 5mm thick. Using a cookie cutter or any shape you like cut out as many shapes as you can. Keep going until you have about 25 shapes. Carefully place them onto a baking sheet, making sure you keep them slightly apart. Roll out the second ball of dough the same way. Cut out the same-size stars and place them on a baking sheet. Now cut out a small circle in the centre of each biscuit using a small cookie cutter or the end of a large piping nozzle. Heat oven to 140C (if you have a fan pop it onto 120C) or gas mark 1 and cook the biscuits for 20-30 mins until they are a lovely golden colour. Remove from the oven and place on a cooling rack to completely cool. 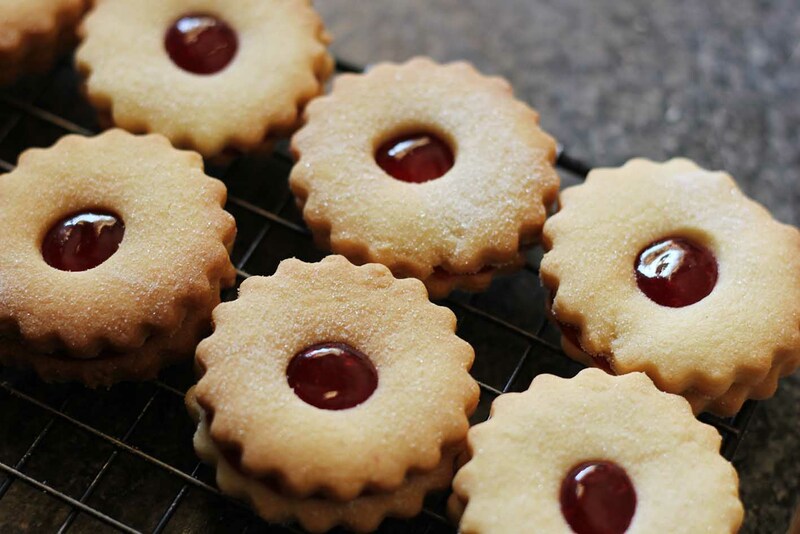 Place a generous blob of jam onto the centre of the biscuits without the cut-out circle. Place the top halves of the biscuits on and push down gently and there you go. 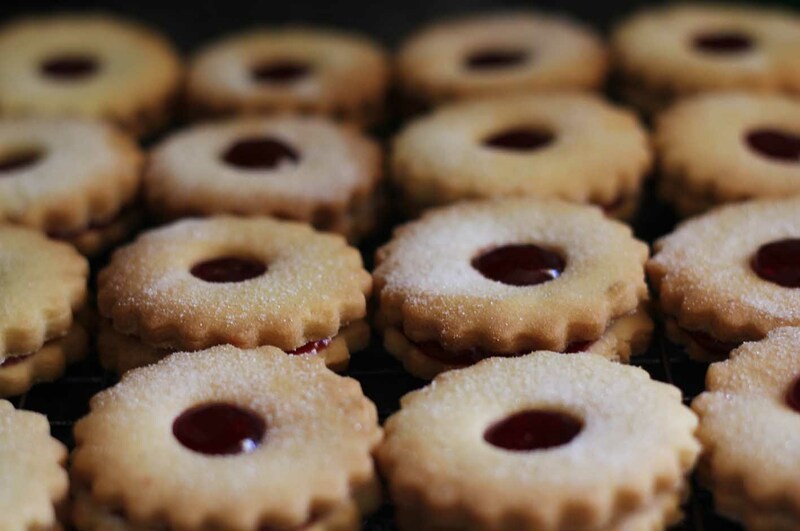 Your very own jammy dodgers! This looks so delicious ! Nice pictures too ! Definitely going to make some of these in Christmas tree form! and your photos are stunning! I think I am too!